Through the years the people of São Marcos da Serra very much stuck to their traditional way of life. Even the man working in a hotel in Albufeira, the insurance agent, the personnel of the freguesia or the shop owner. They keep a couple of pigs on the side to slaughter in the wintertime, have chickens in the backyard and grow vegetables on every square meter of garden they own. Lots of people living in the countryside are self-sustaining. They have their own honey, vegetables, fruit, eggs, meat and so on. They live from the land, sometimes earning a little extra by selling cork, medronho or honey. 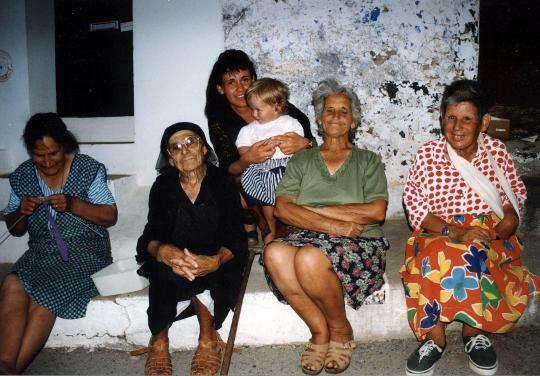 In the serra you can find old farms (quintas), where some of the old folks still live the same kind of life their parents and grandparents lived. Some still have no bathroom, no electricity, no running water in the house, no heating, no washing machine and no toilet and they don´t seem to mind a bit. These people have a deep connection with this land, that they call "minha terra" (my land). Some of the traditional way of life will be highlighted here. But the slaughtering of a pig is more than providing for food, it is also a social happening, where families, neighbours and friends get together in a spirit of mutual help and celebration. The spirit of helping is very strong, and a family that receives help from the neighbour, friend or family, later will return the favor in other similar activities. The exchange of favors is a very traditional practice, still alive, goes beyond the slaughtering occasions and involves other products beyond the pork meat. Even nowadays, when the winter time comes, many people in the rural Portugal keep up with this old tradition. Raising a pig is not an expensive activity, because this animal eats all kinds of food scraps, fruits and other sub products. 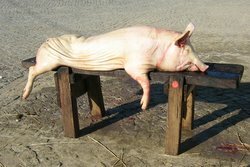 In the old days, breeding a pig for household consumption was the only chance to eat meat during the winter, except in special times, when the families used to consume chicken meat and mutton. The economic value of this animal in the Portuguese culture cannot be compared to any other animal. All the parts of the animal are being used, from the feet to the ears. The men do the actual slaughtering, early in the morning. The experienced matador kills the pig by a deep cut in the neck. After the blood has been collected, the hair is burned off and the intestines are taken out. The men cut up the meat and after that the women prepare sausages like morcela (blood sausage), linguiça (cured sausage with paprika and garlic) and chouriço (similar to linguiça, but spicier) by mixing meat, fat, herbs and spices. Then there is of course the dry cured-ham, presunto. All the meat and sausages are hanging down from sticks under the ceiling of the smoking room. With the times changing and technological development of the societies increasing, some acts or activities previously considered like icons of a community’s cultural identity, are now looked upon as barbaric or not enough hygienic. With the times changing and technological development of the societies increasing, some acts or activities previously considered like icons of a community’s cultural identity, are now looked upon as barbaric or not enough hygienic. That is exactly what is happening with the Portuguese traditional pig slaughtering. Today, European law forbids the animal killing at home, for hygienic reasons, while animals rights institutions condemn this practice, because they consider it barbaric. But new laws don´t mean the immediate end of traditions. Here it is stll allowed to keep and kill a pig for your own consumption and this tradition will be alive until the rural communities disappear, which I hope will never happen, because it is a part of Portugal. On the other hand, the quality of the meat of these pigs is so much higher than what you can buy in the supermarket. You know exactly what the animal had to eat and of course you make sure it is free of antibiotics and hormones. 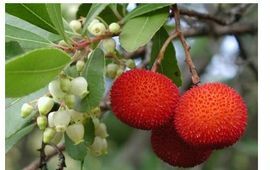 During the months of October till December it is time to pick the ripe berries of the medronheiro (strawberry tree, or Arbutus unedo). Only the yellow and red ones are perfect for making the local spirit, aguardente de Medronho. In the old days whole families walked through the serra to pick berries. It was a social happening. Nowadays, this tradition is slowly dying, because the younger generations do not have the time for this and many of them are leaving the countryside to live and work in the cities. It takes between 7 and 10 kilograms of fruit (depending on the quality) to make 1 liter of medronho. The picked fruit is stored in barrels, sealed with a water-lock and has to ferment for approximately 2-3 months. The actual distillation takes place in a straight pipe alembic made from copper, heated by a slow fire. This method of distilling was passed from generation to generation for hundreds of years. When European law also wanted to stop this old tradition , a lot of farmers went "underground" and the good stuff is now unfortunately only available "under the table". Legally you are allowed to make 30 liters of medronho for your own use only. To recognise a good quality medronho you put a small amount of it on your hands, rub them together and smell. If you can smell the fruit after the alcohol evaporates, you can be sure to enjoy a good mendronho. A good medronho can easily compete with a good cognac (distillate of grapes) or calvados (distillate of apples). Watch this video where the one and only Medronho song is being performed by The Tasmaniac! Many dog owners in the Algarve give their dog the name of Diana, the patron saint of the hunters. Hunting is an ancient tradition in Portugal and today still practised by many men living in the serra. There are still 5 active hunting associations. The shooting of birds and game was always a welcome opportunity to feed the family with something else than pork or chicken. Nowadays rules are more strict and nature preservation is high on the agenda. The organisation of a hunt is taken very seriously. But hunting also means enjoying nature, walking across the countryside and besides that it is a very social happening. After the hunt there usually is a lunch in the club house or in a local restaurant, where the caçadores meet, eat, drink and talk about their experiences. The hunting season runs from 15 August till 28 February. The hunters are in generally active on Thursdays, Saturdays and a third day, which can vary. Note: Hunting is not allowed on an election day or day of referendum. 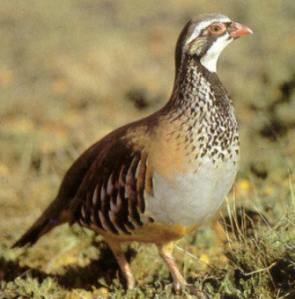 To hunt in Portugal you need to pass a theory exam and acquire an arm´s license from the PSP police. For the Algarve the authority is the Federação de Caçadores do Algarve (www.fcalgarve.pt). 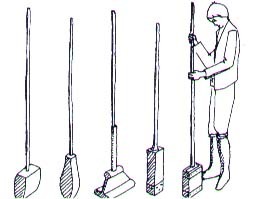 Taipa or rammed earth is a technique for constructing monolithic walls by putting moistened earth into shuttering (taipal) and compacting it manually with a pile driver or by mechanical means. Rammed earth was the most widely used construction technique in southern Portugal until the 1950s, and a large heritage of earth constructions still remains, also in Sâo Marcos da Serra. In terms of the sustainability, comfort and energy efficiency of buildings, rammed earth has many advantages over present day construction (concrete and brick). Earth is readily available, so it is a cheap building material. Rammed earth constructions offer a very good level of comfort due to their high inertia, a result of the thickness of the walls and the characteristics of the earth. Earth can regulate the indoor climate, maintaining temperature and relative humidity within a comfortable range. Rammed earth walls do not allow heat to enter in the summer: the heat that strikes the wall each day is damped with the phase shifting over time, and it only reaches the inside when the outside temperature is lower. In winter, rammed earth walls make it harder for the heat to escape because of the earth’s high thermal inertia. This technique of building is only known to very few men nowadays. Rammed earth is a method of wall building that has been around for 10,000 years. During that time frame every imaginable type of building from single and multi-family homes to monasteries, palaces and fortresses have been constructed. Rammed earth is the strongest, safest, and most earthquake resistant type of earth building. In addition, it is more durable than other types of earth walls for building due to the raw materials used and the methods employed. Rammed earth is used throughout the world thanks to the virtually unlimited supply of raw materials; stone, sand and clay.